Please take time to view the attached competition timetable to see the shooting events taking place each day. 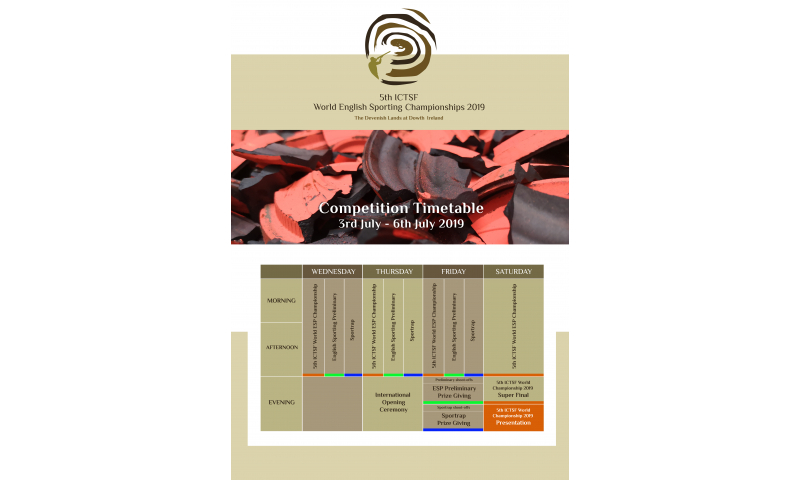 The timetable is available to download, save or print for easy reference. 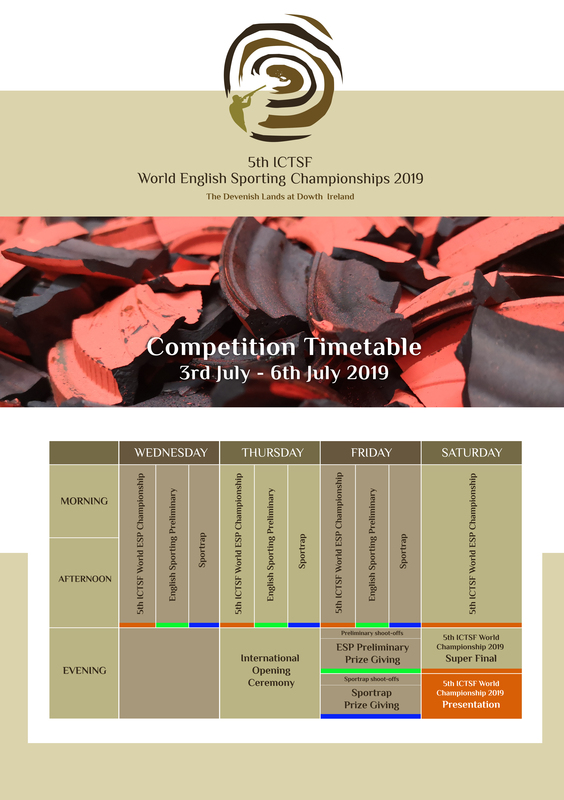 The WESP Championships, Preliminary event and Sportrap begin on Wednesday July 3rd. The Sportrap and Preliminary Event will conclude on Friday July 5th with Shoot-Offs and Prize givings taking place on that evening. 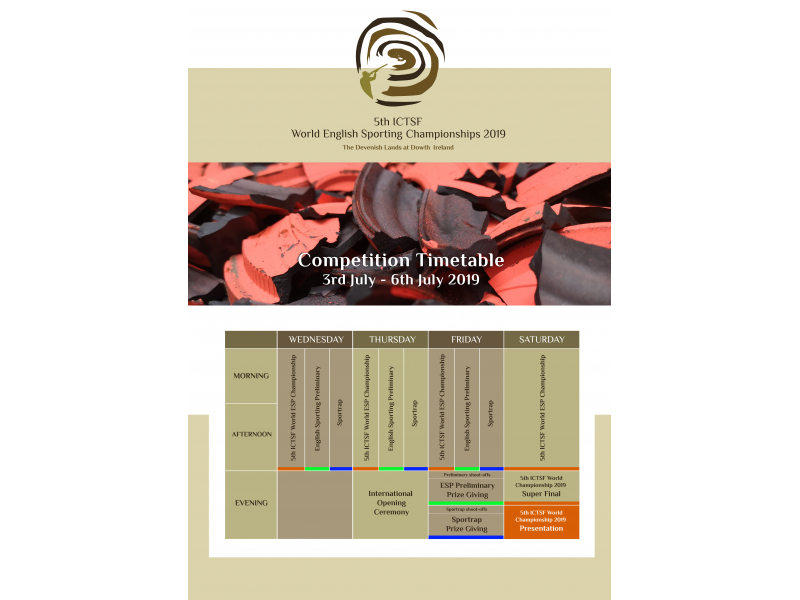 The WESP Championships will conclude on Saturday July 6th with Super Final & Prize taking place that evening.